Welcome to summer, everyone! Have you had your inaugural First Barbecue yet? I don’t know about you, but here at the Activation Products offices in Ontario, every chance we get to cook outside we grab. It’s been a long, cold winter, and every meal not eaten outside during the summer is a lost opportunity. Take a delicious meal eaten outside, add two friends, and you’ve got a party. The nights are long and the sangria is so easy to make, and suddenly a random Wednesday is an opportunity to make some summertime memories. But even during the golden light of a June evening, hosting people can be a bit of a nerve wracking experience. Y’know what’s great right now? Produce. Produce is delicious right now. I’m talking tomatoes, corn, melons, berries of all sorts. We’re so enamoured with summertime fruits and veg that we did a whole blog post on easy summer salads that highlight the jewels of summer. But greens, reds, oranges and blues don’t just belong in a salad. If you’re new to cooking seasonally, now is a great time to get into it. 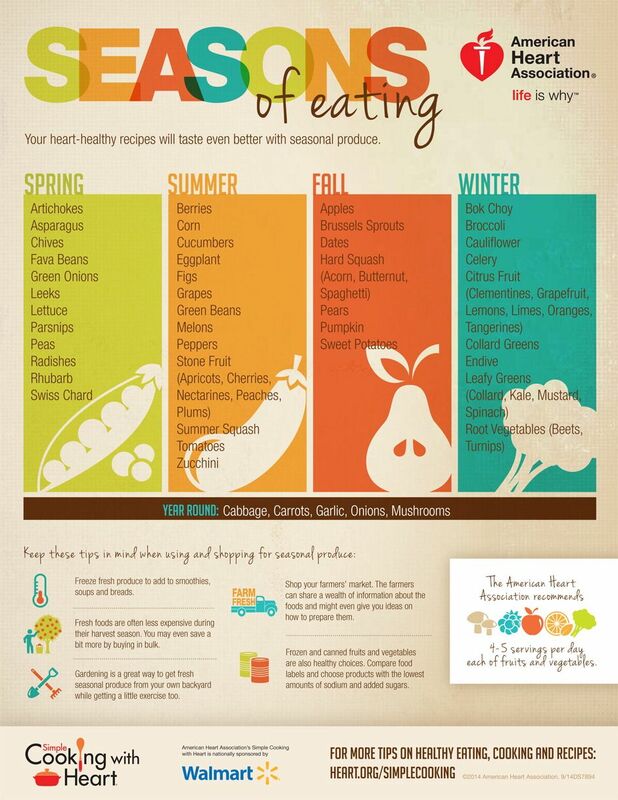 Eating seasonally means eating foods when they are at their most naturally flavourful and local to your area: apples in the fall, berries in the summer. It means not having to eat food that’s been shipped from tropical climates, and supporting local farmers, which we are all about here at Activation. Check out your local farmers market, talk to the farmers, and start to learn about what’s best. Don’t overthink this one (we can’t all be landscape artists), but how’s your backyard looking? If it’s anything like mine, it probably needs to be weeded. And maybe some new, already sprouted plants need to go in the soil to replace the ones that died. Cheap, plastic tablecloths are starting to come in some really lovely patterns from your local dollar store. Throwing a couple on your tables (or even on the ground!) is an easy way to add some color and pattern. Lights! I know the daylight lasts a long time in the summer months, but you’re in for the long haul, right? Partying until dawn? Exactly. Two preferred options here: a string of fairy lights on your porch railing or laundry line, or a bunch of candles. If the candles are citronella and keep the bugs away, so much the better. Toys. Not just for kids anymore! Have a supply of frisbees, bubble wands, badminton racquets, maybe even some croquet equipment within easy reach and watch all your friends rediscover their inner five-year-olds while they wait for their dinner. I could have said “man the grill” here, because actual barbecuing part of hosting a barbecue is still a strangely gendered affair. We women grew up watching our dads carefully flipping steaks, and now hand the tongs to any male present who seems vaguely competent. But ladies (or anyone else with little to no grill experience) we can do it too! There’s a couple of things to keep in mind. First, what type of grill do you have? On a gas grill, you can set a specific temperature and know that every section of the grilling surface will be that temperature. If you’re working with charcoal, things are a lot less predictable, based on how close your meat is to the coals themselves. Whatever you’re working with, keep an eye on your gauge to see how things are progressing. Remember too, that different kinds of meat cook differently, and it matters more or less how thoroughly cooked the meat is all the way through. If you’re grilling a steak, it’s fine to have some char on the outside and some pink inside. This is less true with a chicken. There’s a few ways to tell how cooked through meat is. The first is the touch test. You put your finger on the surface on the meat and feel its firmness (because meat will get firmer as it cooks), and then compare that feeling to different spots on your hand. The soft area at the base of your thumb is what meat feels like raw. If you pinch your index finger and thumb together and touch that spot again, it’s a firmer feeling, like meat when it’s rare. Pinch your thumb and second finger together and touch that same spot and it’s firmer still, like meat when it’s medium. Ring finger and thumb together is medium well, and pinky finger and thumb together gives you well done. It’s not an exact science, but it helps you to get the feel. And remember, there’s no shame in using a thermometer. Here’s a basic guide to doneness, courtesy of Martha Stewart. Of course, you know it’s not just about the meat, right? If you’re a vegetarian, a pescaterian, a vegan, you know how lonely you can feel at a barbecue, when all the other guests are rhapsodizing about the ribs and you’re stuck with the pickles, tomatoes and lettuce that everyone is putting on top of their burgers. Don’t do your friends like that. Make your menu veggie-friendly. Need some inspiration? We love this list of vegetarian barbecue recipes from BBC Good Food. But just in general, let’s remember that plant-based foods are for everyone. You don’t have to be afraid of salads anymore. In fact, did you know that plant foods can also act as decor? It’s called edible flowers, and we’ve got a whole blog post on our favorite ones. It’s gonna be a great summer, everyone. What do you do at your barbecues to have the best time ever?